City bus seen from three different views front, rear and three quarter angle. 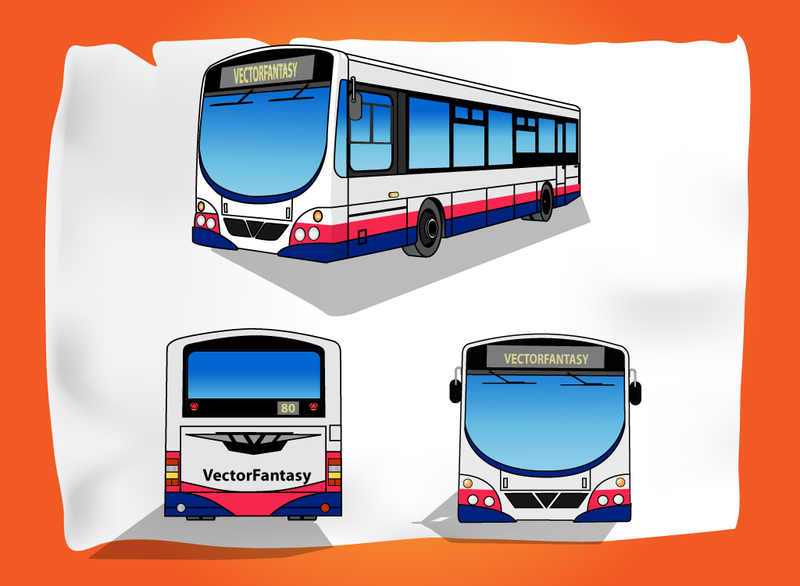 Rendered semi realistic cartoon with plenty of detail to use in travel, public transit and urban designs. Full color image on orange gradient with notebook paper background. Tags: Bus, Mass Transit, Public, Ride, Ticket, Transportation, Travel, Vehicle.